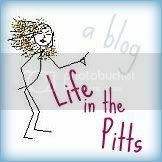 Life in the Pitts: I feel like there should be more stuff on here. I wanted to give you my blog so here it is if you are interested. 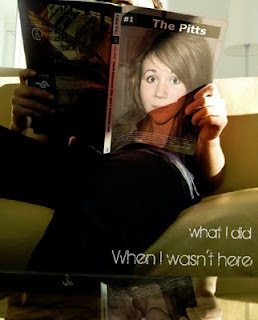 Also, I love how you change your "What i did when I wasn't here" picture each week. It's fun. Um, seriously? My palms are sweating right now. Oh and I just peed in my pants a little. I can't believe that you want to plagarize me! I am so dense that it took me a few sentences in (to my own damn blog entry) to realize that it.was.mine!